If you’ve pored over the list of Bafta 2018 winners, you may be left with the nagging feeling that something’s missing. 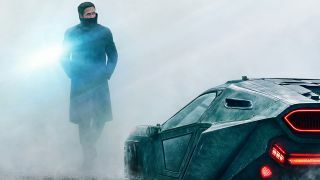 Namely, most of Marvel and DC’s recent output, alongside Star Wars: The Last Jedi, and Denis Villeneuve’s critically acclaimed sci-fi sequel, Blade Runner 2049. They all appear to have been overlooked or given covert nominations in less-than-glamorous categories. The further you look back, the more the data confirms it: superhero movies have repeatedly failed to secure major nominations and sci-fi has fared only slightly better. Yet in 2018, The Shape of Water is a genuine contender to become the first sci-fi film to win Best Picture in the Academy Awards' 90-year history. We've dug into the data to show how attitudes to sci-fi and fantasy movies are (slowly) changing – and how the Oscars' more progressive approach might leave the BAFTAs playing catch up. In the past, the Oscars have recognised more sci-fi and superhero pictures than the BAFTAs, and the recent history of the Best Picture award maps out the Academy’s changing views. Sigourney Weaver noted in a 2015 interview that sci-fi is “a genre that… doesn’t get enough respect,” but the tide was already starting to turn. Pre-2000, the Oscars had recognised only three sci-fi Best Picture nominees since the awards' inception in 1929: A Clockwork Orange, Star Wars, and E.T. However, the past nine years has seen eight Best Picture nominees: District 9, Avatar, Inception, Gravity, Her, The Martian, Mad Max: Fury Road, and Arrival. That’s a big shift in recent years. Oscar nominations are decided by a relatively scientific process, run by an accountancy firm, but movie studios have long attempted to maximise their odds of a Best Picture nomination by releasing 'worthy' human interest films, often with prestigious casts, in November, December, and January to appeal to the judging panel's cognitive biases. The Oscar’s Best Picture is “a category that sadly often only rewards middlebrow-prestigious classiness”, notes respected Guardian film critic Peter Bradshaw. Slowly but surely, that is no longer the case. Are the UK-based BAFTAs following suit? In a word: no. The following sci-fi and superhero movies have won BAFTAs: 2001: A Space Odyssey, Arrival, Blade Runner, Blade Runner 2049, The Dark Knight, Inception, Interstellar, Jurassic Park, Mad Max: Fury Road, The Matrix, Star Wars: Return of the Jedi, Star Wars: The Last Jedi and Terminator 2. On first inspection, that reads like a decent representation, but the list spans 71 years and is massively dwarfed by the Oscars' 20th Century sci-fi winners alone. Out of those 14 movies, the most notable successes were Heath Ledger’s posthumous victory for Best Actor in a Supporting Role (as The Joker in The Dark Knight) and Jurassic Park winning a popular vote award back in 1994. The Jurassic Park victory was most unusual, since the film was nominated for the same award in 1993. At best, this implies a confused nominations process; at worst, that the film is being nominated for two years running as some kind of public sop, or for other behind-the-scenes reasons. The Dark Knight’s nine nominations (and one win) is the outlier. The tempting explanation, is that it happens to be directed by English director Christopher Nolan, who was awarded a BAFTA retrospective in 2017, and a mainstay during British film awards season. By contrast, Nolan was snubbed by the Academy until his 2018 nod for Best Director after helming Dunkirk. It’s unlikely to be a conspiracy theory, but indicates blind spots do exist, even for more quote-unquote prestigious luminaries. The most common nomination (and victory) category for the BAFTA movies listed above are Best Sound and Best Visual Effects. Only 4 sci-fi movies - and no superhero movies - have been nominated for Best Film in the past 25 years (E.T. Inception, Avatar and Arrival).This may not be the intent, but BAFTA’s history implies: sure, your films look and sound brilliant – but they’re not worthy of the headline awards. All that, too, without a Marvel movie in sight. Christopher Nolan’s output aside, BAFTA have recognised only nine sci-fi and superhero movie nominees since its inception in 1947, (with 3 winners this century) which is as many as The Oscars have recognised just for Best Picture since 2009. So, why are sci-fi and superhero movies being ignored or marginalised? SFX Magazine Editor Rich Edwards believes groups such as the Academy do not see “mass entertainment movies as the sort of films that should be rewarded for their artistic qualities” and even that they “should ‘make do’ with awards in technical categories.” In essence, it’s high art vs. low art, and the shot-callers are still seeing these movies as low art. Does BAFTA's voting panel demographic hold the key? BAFTA’s nomination process and the composition of its voting panel might explain the absence of sci-fi and superhero movies. In 2014, a former BAFTA voting member claimed that judges would sometimes nominate movies they hadn’t seen (which is obviously against BAFTA policy), but the age and demographic of the voting panel is likely a more significant factor. In 2014, another BAFTA judge reported that existing members have to die before new members can join the voting panel (no, seriously), or simply forget to renew their membership after five years for new members to be brought onboard. However, BAFTA moved to relax its rules in 2016, inviting 375 new members, of which 43% were female, 18% were from a minority ethnic group, and the average age was 44. Prior to the change, a survey found that 41% of voters were female, 13% were from a minority ethnic group and that they had an average age of 52. The 375 new members are still a small proportion of BAFTA’s reported 5000 to 6000 voters, and an older voting block feels less likely to favour sci-fi and fantasy. In contrast, the Oscars have undergone a far bigger shake up of their voting base. Variety reports that 23% of its members have been invited to join the Academy in the past three years, though their demographic is unknown. This may go some way to explaining why The Oscars have been quicker to recognise sci-fi and fantasy in recent years. Marvel has released 18 movies in ten years, grossing over $13 billion. How many Oscars nominations do they have to show for it? Nine. And no winners. Seven of those nominations were for Best Visual Effects, one for Best Sound Editing (Iron Man), and one for Make Up and Hairstyling (Guardians of the Galaxy). Marvel’s studio heads will be sanguine about what they’re creating, but the lack of industry recognition is notable. The studio is currently on course to average fewer than one Oscar nomination a year and – whatever your views of Marvel’s output – their MCU series has routinely recorded strong reviews, with movies like Captain America: The Winter Soldier praised for its contemporary political commentary: “The first superhero film since the terrorist-inflected The Dark Knight that plugs you right into what’s happening now,” said Entertainment Weekly. Marvel’s record is notable, albeit on Rotten Tomatoes (in which they have 3 of the top 100 best-reviewed movies ever made), or box office takings. Why are sci-fi and superhero movies not represented during awards season? One reason could be release dates. Marvel, DC, and the majority of sci-fi and superhero movies maximise audience by launching in the summer months. Up until the distinct possibility of a win for Dunkirk this year, no movie released in July has ever won an Oscar. Many prominent Oscars 2018 nominees, such as Call Me By Your Name, Three Billboards Outside Ebbing, Missouri, and The Darkest Hour all came out from November to February. NU.nl’s data (via The Guardian) shows that October and November are statistically the best months to release an Oscar-nominated film. However that, too, is beginning to change. Dunkirk and Mad Max: Fury Road were nominated for Best Picture during the last three years – and both had summer release dates. Deadpool (February), Black Panther (February) and Logan (March) also bucked this trend to receive nominations or, in Black Panther's case, a strong case for 2019. The evidence suggests that Oscar nominees are being chosen from a wider set of release dates. It could be as simple as this: If Marvel and DC – with the millions and millions of dollars – really wanted to push for awards, they could go all-out and campaign in much the same way as other Hollywood studios. Marvel (and the rest) aren’t playing that game… for now. So, what's next – and what can change? It’s entirely possible that Marvel and Disney just aren’t that concerned about awards… or their relevance to the superhero audience. The Oscars has seen a 20m drop in viewers since 1998’s hugely-popular Titanic swept the board. 60% of Americans also cannot name a single Oscar nominee. If anything, the Academy may have to turn to the big boys more often to save face. Now, review aggregators, the almighty dollar, and social media buzz are arguably more pertinent to studios. The Oscars offer prestige and glamour, but the Academy has rewarded some contentious movies over the decades. “Is Chariots of Fire really better than Raiders of the Lost Ark? Who'd seriously put Forrest Gump higher in a list of best movies than Pulp Fiction?” Says Edwards. Edwards believes Oscars, BAFTAs, gongs, and nods are secondary to a movie’s legacy: “I'd argue that the immortality that movies like Back to the Future, Ghostbusters, Raiders of the Lost Ark, and The Matrix have is worth something more.” And, when it comes to movies - superhero, sci-fi, or otherwise - isn’t that what really matters? The Oscars and BAFTAs might not have fully embraced sci-fi and superheroes, or swallowed the red or blue pill, but in making changes to their voting processes and judging panels, at least they’re recognising the question.